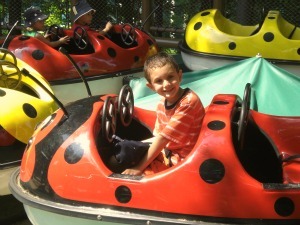 Enjoying the kiddie rides at Busch Gardens Williamsburg. My sitemap index will help you find things fast...discount ticket deals, free meal deals, attraction and restaurant reviews, hotel deals, travel tips, and more. You already pay too much for travel and entertainment, between accommodations, gas or airfare, and attraction admissions, so this information is designed to show you how to have quality, family fun...for less! Below, on the sitemap you'll find a series of links to page after page designed to show you how to save money on travel and entertainment in Virginia, as well as to show you the best place to spend your hard-earned cash so you have the best getaway possible. Virginia has several major amusement parks, including Busch Gardens Williamsburg, Water Country USA, Kings Dominion, Ocean Breeze Water Park, and Great Wolf Lodge. Following are links to pages on how to get amazing discount tickets, hours and operating schedules, promo codes, special events, and more at the parks. 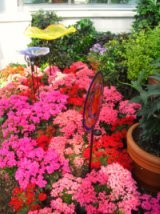 VA Beach Tourist Information, Area Codes, Newspaper, etc. Which Jamestown Attraction is Right for You? 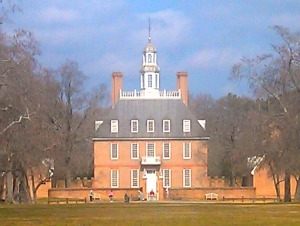 The Governor's Palace at Colonial Williamsburg. Entertainment Book - Save Hundreds w/ this book! Hope this sitemap was helpful! Check back to my site (and the sitemap) often - particularly my "Daily Deals" blog --I'm adding new deals and travel finds all the time.